Central Jersey transportation | PRO Car and Limo L.L.C. If you’re looking for a high quality and professional Central Jersey transportation company, you have come to the right place. PRO Car and Limo LLC is what a New Jersey Car Service should be — we give you the attention and personal service you expect. 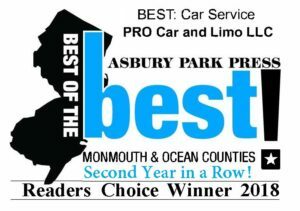 We are the 2017 recipient of the Asbury Park Press Readers Choice Award for the “Best” car and limo service in Ocean and Monmouth Counties. 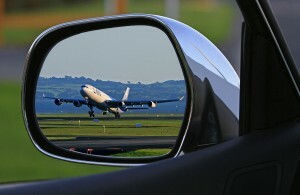 We provide airport car service to JFK, EWR, PHL, LGA, ACY, TTN, and everywhere else you need to go. We also provide first class service to all NY, NJ and Baltimore Cruise Piers for up to 18 people and their luggage. As a leading Jersey Shore Car and Limo service, we offer the best local airport taxi and airport limousine services. We know the fastest, most reliable routes to where you need to go. 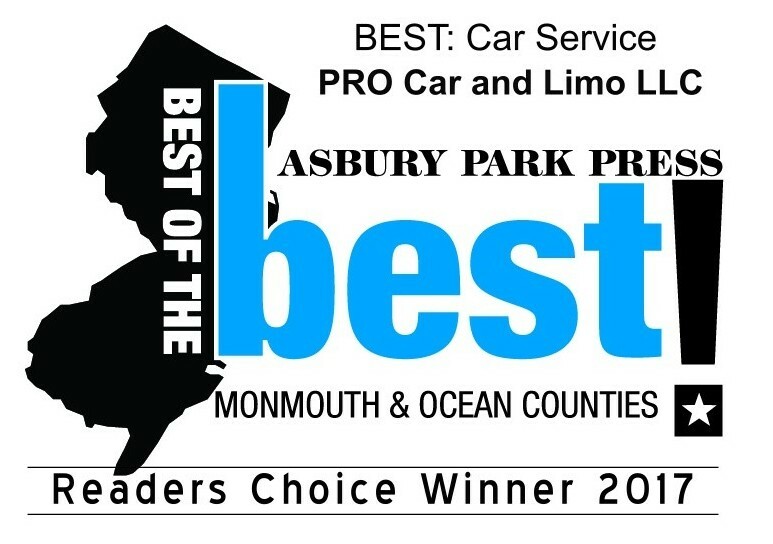 PRO Car and Limo LLC is based in the heart of the Jersey Shore with offices in Forked River and Brick NJ. Our promise is to provide you with safe and dependable transportation. We understand that you depend on our reliability, so we are the only company in the area who GUARANTEES on-time pick ups EVERY time. Whether you need car service to a major airport or a limousine for a Night on the Town, you can rely on us to get you there and back. Going on vacation? Why drive your personal car to the airport and park in huge, poorly secured lot for up to $35 per day? Instead, let one of our Professional Chauffeurs pick you up at your door, and drop you off at your terminal. On your return, we will track your flight, contact you with curbside pick up location and within minutes of claiming your bags, you will be on your way home. Whether your destination is near or far, if it begins or ends in central jersey transportation will be one part of your journey you won’t have to worry about with PRO Car and Limo LLC. Let us pick you up at your door, and drop you off right at the terminal. Our impeccable airport service is on point and our vehicles will be waiting for you when your plane touches down. Our dispatchers are working 24 hours a day, 7 days a week, so even if your flight is delayed they will make sure your driver is waiting for you when you land. For any Central Jersey transportation, PRO Car and Limo LLC should be your number one choice when it comes to transportation services. Whether you need an SUV to take you and the family on a trip or a limo service to a prom, we will serve all your needs. If you are heading to Manhattan for dinner or a show, let our drivers take you there comfortably and in style. Whatever the occasion; executive needs, corporate events, weddings, a weekend in Atlantic City. Leave the frustration and stress of navigating and traffic to our professionals. 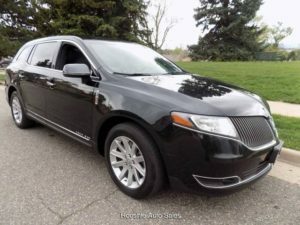 Our array of vehicles range from comfortable Luxury Sedans, spacious SUVs and impressive Limousines all of which will have plenty of room to store your luggage. If you need airport pick-up or drop-off services our prompt and courteous drivers will be there to get you to your destination safely and on time. 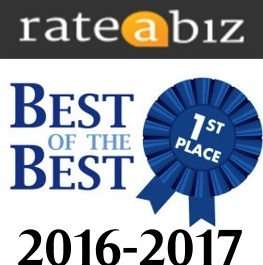 At PRO Car and Limo LLC customer satisfaction is our top priority. Our goal is to please 100% of our customers, 100% of the time. Serving all New Jersey, Eastern Pennsylvania, Atlantic City, Manhattan, Eastern Long Island, JFK Airport, Philadelphia Airport, Trenton Mercer Airport, Newark Airport, & Atlantic City Airport plus, many other destinations to and from. Let us put our experience to work for you. Why Choose PRO Car and Limo LLC for our Central Jersey transportation?